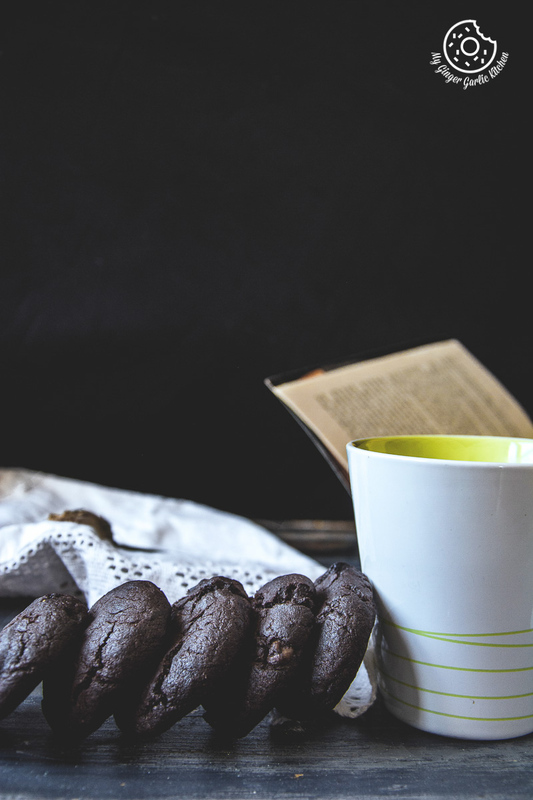 Learn to make Eggless Triple Chocolate Cookies Recipe with an easy video tutorial. 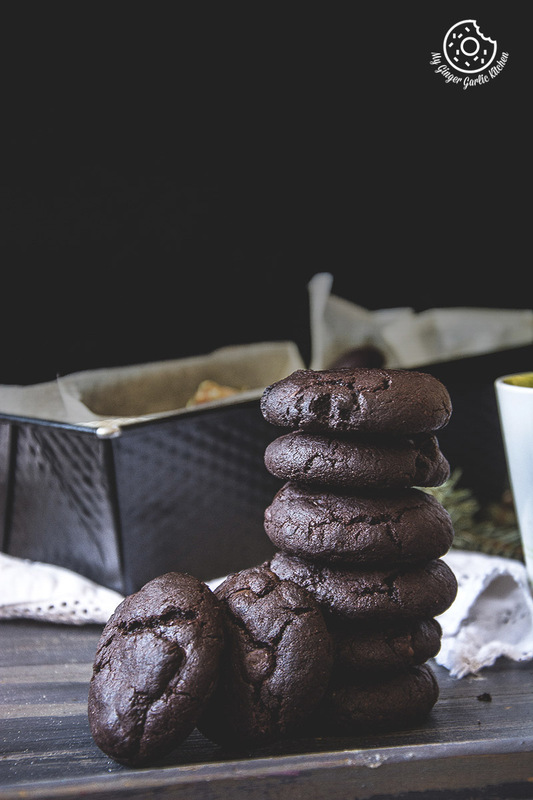 These seductive, thick and crispy Eggless Triple Chocolate Cookies are perfect for anyone who loves chocolate. The triple shot of chocolate is good enough to make anyone drool. These cookies come with thick, soft and a lightly chewy texture. They are completely packed three different chocolate flavors. 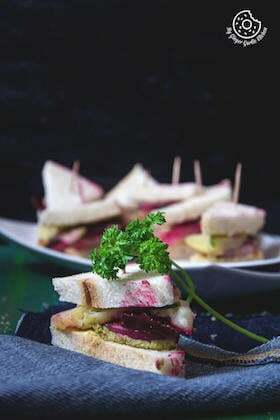 Pin it to your BREAKFAST BOARD to SAVE IT for later! Ado: “So how about tomorrow? Can you make tomorrow? Me: “Okay. But only on one condition. Saturday morning, I am making breakfast and Ado comes to me. These tempting and crispy triple chocolate cookies are perfect for anyone who loves a little crunch in their cookie. 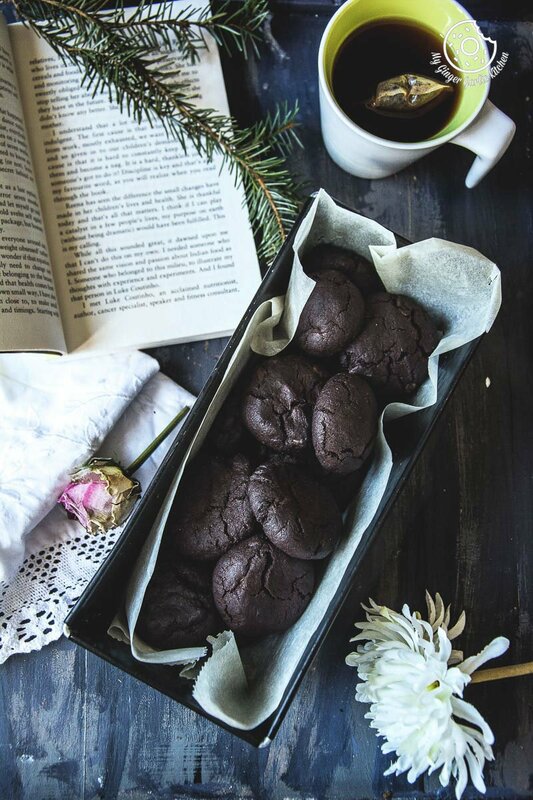 Anybody who loves chocolate would become besotted with these cookies because they are loaded with chocolate, chocolate, and more chocolate. This triple dose of chocolate is good enough to make anyone drool. All I want to tell you is, if you like chocolates you will definitely love these cookies. 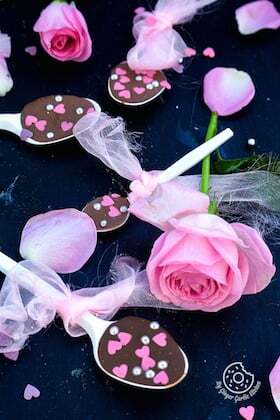 This cookie recipe is one of simplest baking recipes which even a little child can make. You must have seen that in the video above. 😉 Kids would love to bake and eat these yummy home baked cookies. You don’t need so many ingredients for baking these delightful cookies. And there are higher chances that probably you have most of the ingredients for making these cookies ready at home. 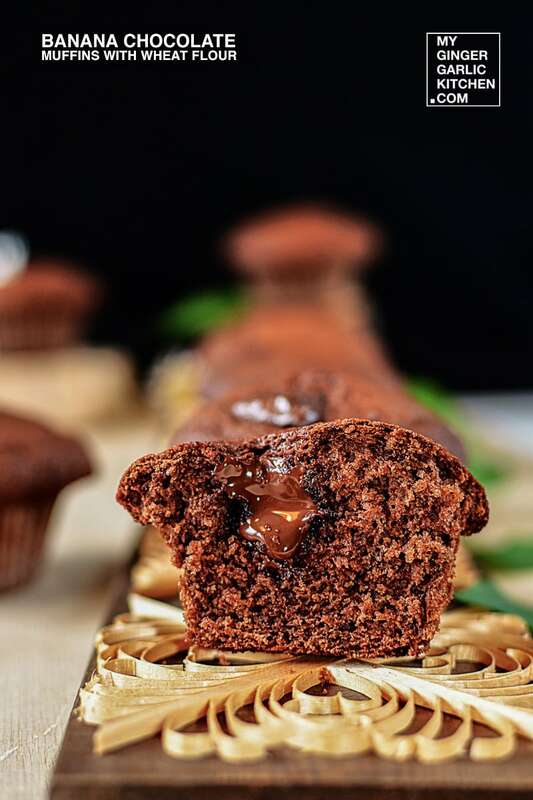 The chocolate dough is pretty simple to make and to make it even more chocolatey, you add in chocolate chips and dark chocolate chunks to the dough too. There you have it — the very tasty and delightful triple chocolate cookies. And it does not require any eggs at all. 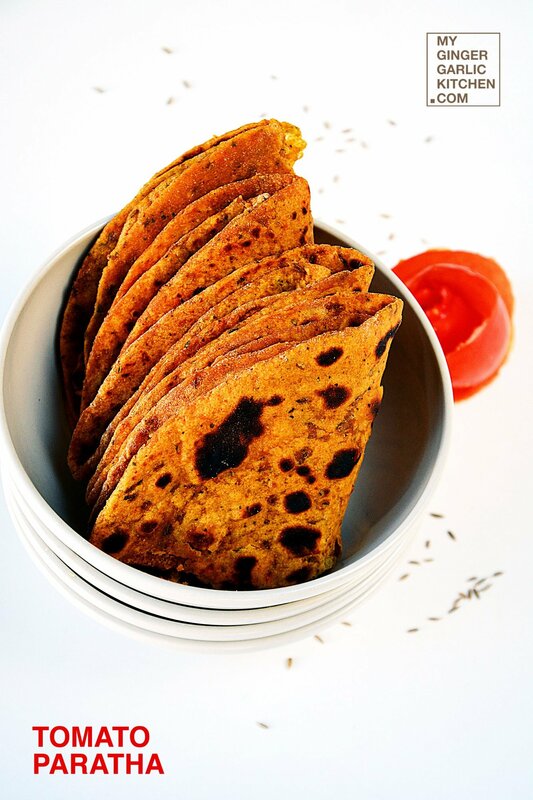 You can have them warm with a glass of milk, coffee or even tea. 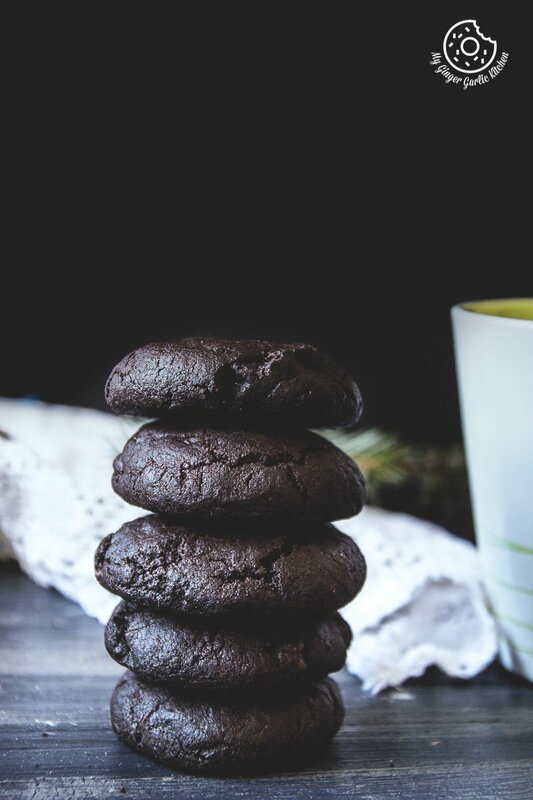 Or you can simply store these eggless triple chocolate cookies in an air-tight container and store them for 2-3 weeks, but only if you can resist them for that long. 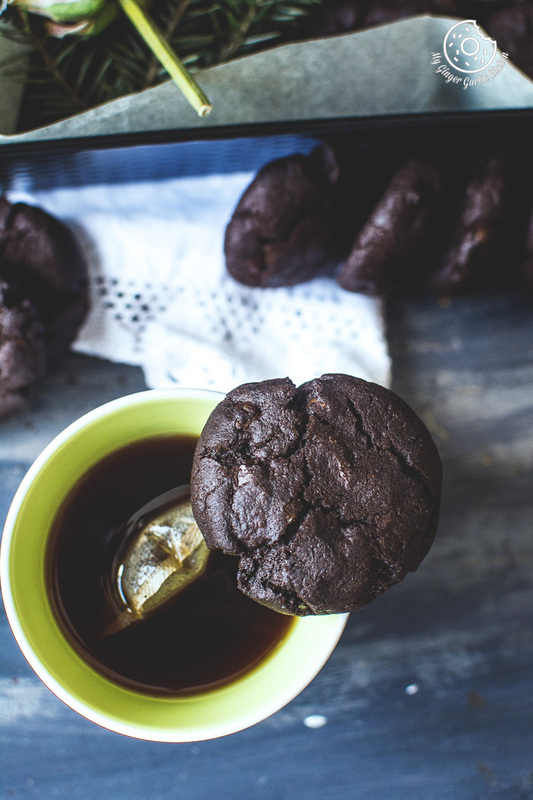 These seductive, thick and crispy Eggless Triple Chocolate Cookies are perfect for anyone who loves chocolate. The triple shot of chocolate is good enough to make anyone drool. These cookies come with thick, soft and a lightly chewy texture. They are completely packed three different chocolate flavors. 1. Preheat the oven to 180°C/350ºF. 2. Line a baking sheet with a parchment paper. 3. In a mixing bowl add the flour, cocoa powder, salt, baking powder and baking soda in and mix well. 4. In another bowl cream, the butter, sugar, oil, milk till the mixture turns fluffy and smooth. 5. Add vanilla extract, dry ingredients, chocolate chips, and chocolate chunks to the butter mixture and mix well to form a dough. 6. Use your hands to divide the dough into lemon sized balls. 7. Place dough balls about 2 inches apart onto the baking tray. 8. Bake 12-15 minutes. Center of the cookies will be soft at this stage. 9. Allow cookies to cool on baking sheet for 5 minutes before transferring to a wire rack to cool completely. 1. You can store them in an air-tight container for up to 2 weeks. 2. This recipe uses butter, but you can also use shortening instead of butter. 3. Addition of butter adds so much flavor to the cookies, and it keeps these delicious cookies chewy yet melt-in-mouth.